Which Card You Should Apply as a Student? Can Apply Online for Regions Student Card? 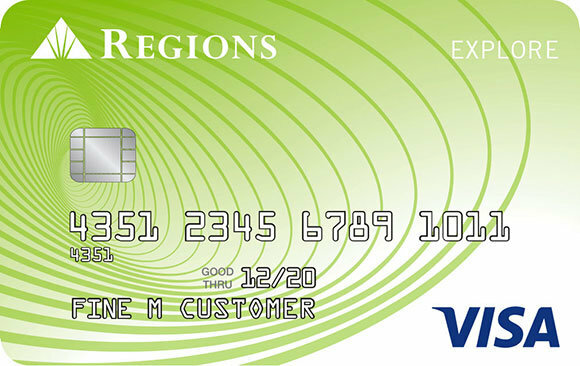 If you want to have a Regions Student Credit Card but if you couldn’t find any option on the main page of the bank, this guideline is going to help you. However you need to know that if you are a student and if you have a good credit score, you can check better options at the bottom of this article. If you are a student and if you would like to get a card especially from Regions Bank, you will need to apply for secured card of the company. However there are some requirements to have this card. You will need to have a bank account from the company and besides you will need to deposit $250 to your account. The bank is going to refund this amount to you whenever you want. You can increase the card limit with depositing more cash. Secured card of the company is also known as Regions Explore Credit Card. Need to be 18 year-old at the least. Only citizens of United States can apply for the card. Required to have a bank account in Regions Bank. Consumers have to deposit $250 at the least. Consumers need to provide their annual employment income details. You need to have all those documents and requirements to apply to Regions Student Credit Card. You can improve your credit card limit as you deposit to your Regions Bank Deposit Account. These deposits are refundable when you cancel your credit card product. The minimum deposit is $250 at the moment. Unfortunately you can’t apply this card online. You will need to visit a branch of Regions Bank for this. You can find the nearest branch of Regions Bank on their website. Telephone banking and online banking is not also helping you about this. So all you need to do is visiting a branch of the company. Unfortunately there is not any rewards and bonuses of the card. This is a secured card and there is not any service like this on Regions Student Card unfortunately. APR of the card is 24.74% and annual fee is $29. APR is a little bit high. There are other good opportunities for you if you are looking for a student card. You can see them below. Previous articleHow to Apply for Regions Credit Card?